The Bespoke Skincare Revolution you need to know about now – skincare personally blended for you. This new skincare range, Universkin, has been 12 years in the making, and it is set to revolutionise the way we care for our skin because it is bespoke – no two women have the same skin, so every woman needs her own prescriptive skincare products. Universkin is a bespoke skincare range set to revolutionise skincare. Dr Steven Liew co-created it. His name is whispered amongst the Eastern suburbs Sydney community, as he is the man with the golden hands, a plastic surgeon who has the touch and skill of an artist. He injects, does facelifts, breasts, tummies, the lot. But he is in the business of making women look beautiful rather than trying to over-cook things. He doesn’t believe in over-doing a woman’s face and actually turns women away if they want to look too over the top. But it’s overseas where he is on a first-name basis with some of the world’s most well known, and in many cases, famous names. For years, Dr Liew has been co-developing the Universkin skincare range, and this is a man who understands the face, the skin and women. Universkin is going to revolutionise skin and the way we care for our faces, as it is tailor-made for each and every client, and it is a day and night serum, rather than a heavy anti-ageing cream. You only use a few drops. “We need to go back to basics, where we can compound the ideal skincare for each patient. This is about your skin, and we create your formula. 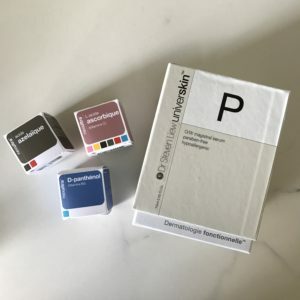 Each individual can now have the perfect mix of active ingredients for their own skin requirements at their current stage of life.” he explains. Manufactured in France, each individual serum is mixed on the spot as you buy it, from up to 20 different active ingredients specifically catering to your skin’s needs. There is one for day, and one for night. You go through a unique list of questions during a consultation, and your face is assessed for hydration, redness, smoothness and so on. Your serum is then crafted precisely for you and your skin’s individual needs. Your personal serum could contain Vitamin A, C, zinc, or any number of essential ingredients. 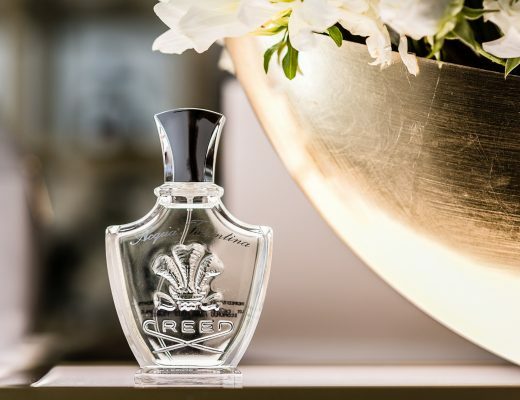 The secret is keeping the ingredients all super fresh, and the unique packaging with a white plastic pipette ensures they stay clean and active. I have written about a lot of beauty products in my career as a beauty writer, but this is unique, powerful and after 3 months of use, made my skin glow. Then again, I must confess after seeing Steven Liew’s work on women’s faces, I’d try anything he recommended for my skin, as I consider him the oracle.